I have taken the last few days off and will not be back on the water until this Thursday. We had quick limits of salmon again last wednesday and we had 10 in the box thursday before getting blown off around noon. 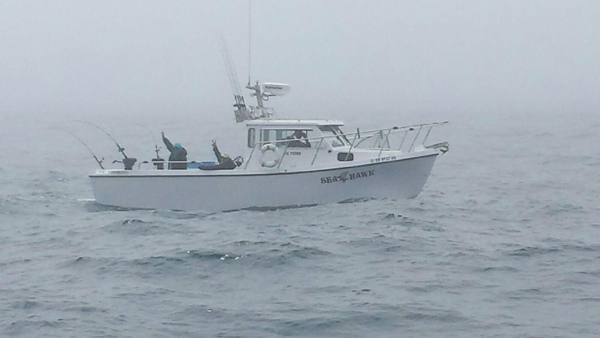 Friday, which was my last day on the water, we stayed close to port for limits of ling cod and half limits of rockies. We stayed close because it was blowing pretty good and it has been ever since. It looks like we may get another good weather window coming up on friday and lasting maybe a week. I have open days next week as well. Typically salmon slows down this time of year for us but I'm sure well still have good days here and there. Also rock fish and ling cod is open until the end of October so give me a call if you want to fill the freezer before its over.